We are able to transform your garden by adding an additional garden decking area for your family to enjoy.Garden decking is low maintenance, offers an affordable way to hide unwanted steep slopes and surfaces, It will complement your outdoor space with the choice of different options available. We can also design and fit steps up to the main decking area and design raised platforms to maximise space. Whether you require low level, near the ground or high level, raised from the ground, we can provide a completely bespoke decking area for your garden. Whether it is partial or full garden cover we are fully able to handle the project with minimal fuss, If you require an elaborate multi-level design then please get in touch to discuss your requirements, we will be able to project manage your dream design from start to finish. We will design, supply and fit a bespoke wooden garden decking area that enhances your house and gardens appearance, no matter what size, style or budget we will be working to. Decking is more natural looking than concrete or patios and it will integrate with the existing features, we can provide specialist knowledge of the correct construction techniques to ensure your garden decking is installed perfectly to a very high standard, adding value to your property. 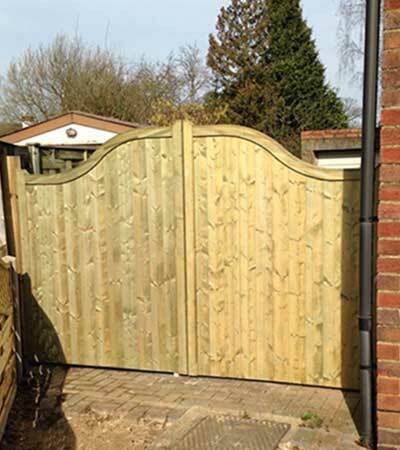 We can also supply and fit a wide range of manufactured wooden fence panels and gates or custom build to your exact requirements to complete the look of your outdoor space. Close board fences is a popular choice among many people, It is the strongest and most versatile type of wooden garden fencing at present however there are many other types that we can supply and fit, which ever type you think will work well in the space you have. Updating your garden fencing can completely change the look of your garden, whether you need a small garden picket fence or a new boundary fence made from panels of your choice, we can source and construct the ideal solution for your fencing needs. Not only will it make your property more secure it can also change the style of your garden, giving it a new, fresh look.